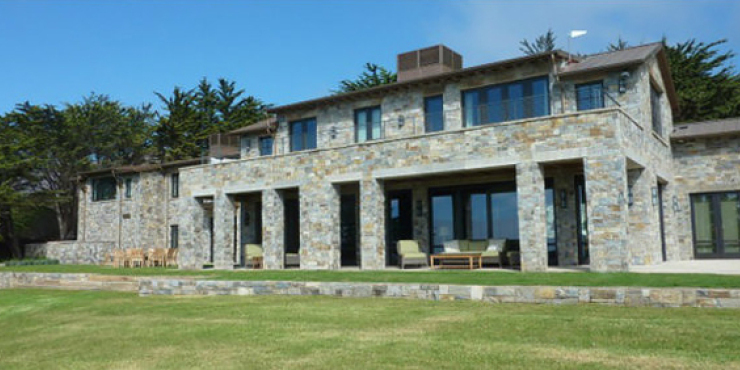 Graniterock's building materials teamin Seaside proved they not only meetcustomers' expectations, they exceedthem at every turn. 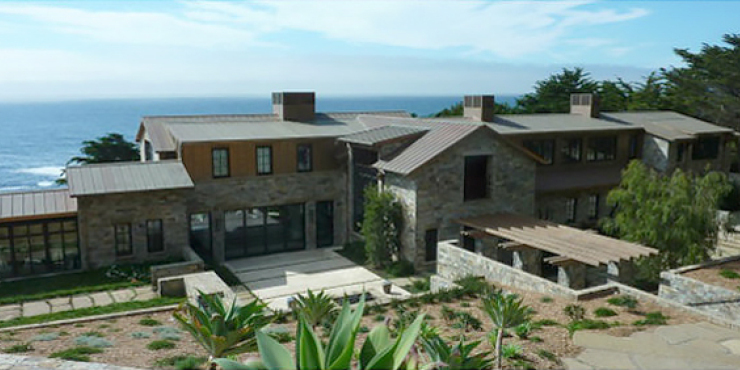 This new multi-million dollar 14,000-square-foot home, known as Abalone Cove, perched on a cliff overlooking the Big Sur coastwas builtwith 12,000square feet of natural stone supplied by Graniterock. 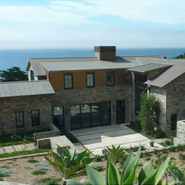 We also supplied all of the concrete, plaster and landscaping stone. The project called for 100 tons of flagstone and 120 stair treads that were 5 feet wide,12 feet long and 8 inches thick, which were carefully placed with a crane. 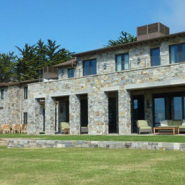 Ledby sales representative Robin Steudler, this project was completed in September for longtime Graniterock customer Stocker & Allaire, a general contractor known for its high-end work in Monterey and Carmel. Willie Diaz had a big role in selling all of the concrete and Alyssa Runnoe handled the myriad purchase orders. "This was an amazing project to be part of," Robin said. "It was a lot of work, but we had so much fun getting this done."